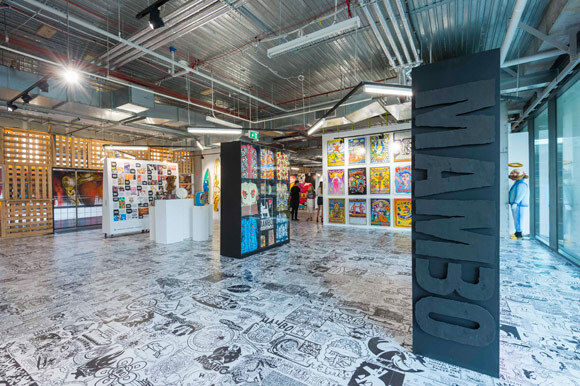 With its idiosyncratic Australian sense of humour and perverse national pride, our country’s most irreverent and outspoken brand – Mambo – turned 30 years old in 2015. 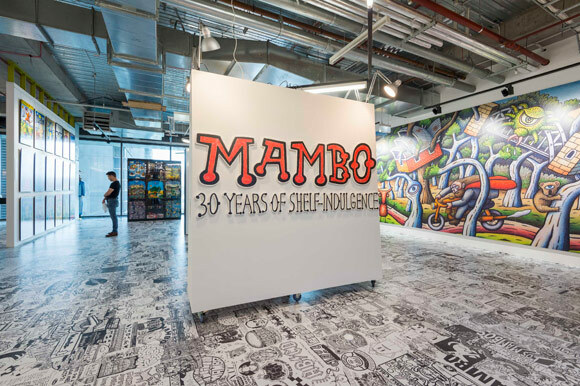 Following the success of the Mambo: 30 Years of Shelf-Indulgence exhibition at the National Gallery of Victoria, which saw the largest recorded number of attendees throughout the Ian Potter Centre to date, this iconic clothing label continued the celebration in a retrospective exhibition, held at aMBUSH Gallery’s new gallery and project space at Sydney’s premium property, Central Park, from 11th March 2015 to 26th April 2015. 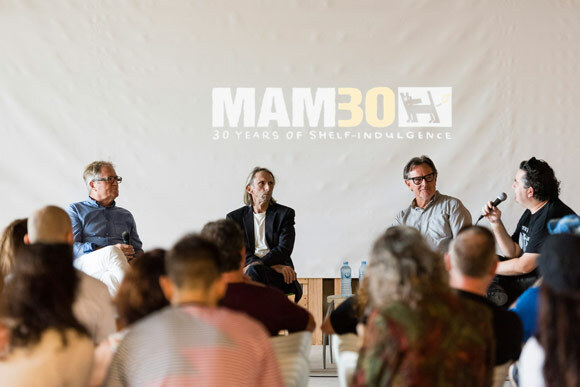 Presented in partnership with Central Park and aMBUSH and curated by T-worlds’ Eddie Zammit, Mambo: 30 Years of Shelf-Indulgence celebrated Mambo’s unique contribution to art and the support and development of its eccentric team of artists and designers. 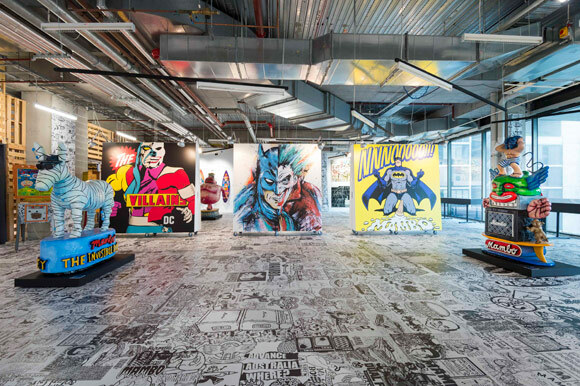 It also presented a commentary on the company’s ability to identify its ‘Australian-ness’ through self-deprecating humour, and an off-handed indifference to all the usual conventions, retail and cultural. 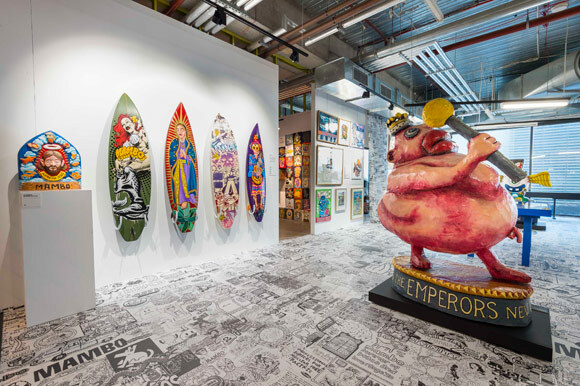 The exhibition featured original artwork, posters, surfboards, inflatables, in-store display units, and a 30-year timeline, plus interviews with original artists and various other cast members. 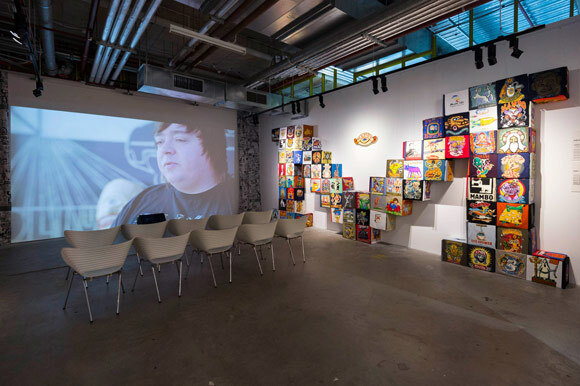 It also presented artworks that were not previously shown in the Melbourne exhibit along with examples of developmental work, most of which are being exhibited for the first time. 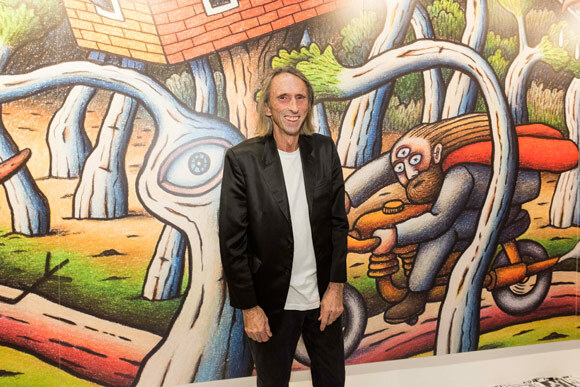 A series of talks with Dare Jennings and Reg Mombassa were also presented. 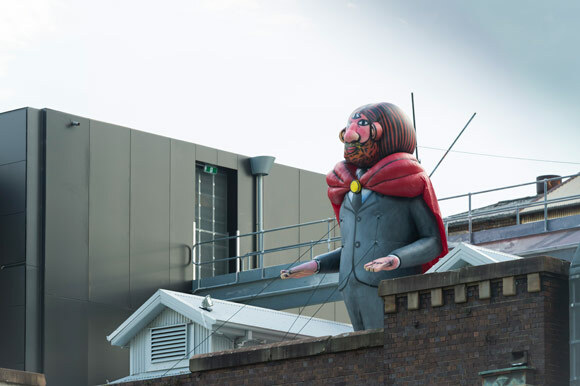 The exhibition received record attendance numbers of over 45,000 visitors.